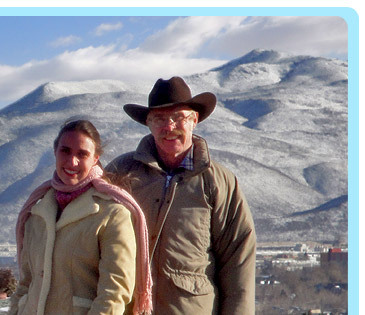 D&S Brown Home Inspections is the only father/daughter home inspection company in Nevada. Simply put, more inspectors means a better home inspection for you. Duane (the father) has 25 years experience in the home building industry doing framing and finishing work and also as a construction foreman and superintendent. He knows what goes into making a house the right way and where to look for shortcuts or problems with a residential structure. Shelley (the daughter) grew up going to work for - and learning from - her dad. Over the years she became well-versed in both home repair and home maintenance. Duane and Shelley opened D&S Brown Home Inspections in 2010, combining their skills to provide a higher level of real estate inspection than was generally available by individual inspectors. Duane and Shelley have seen it all, performing many types of inspections over the years. When they inspect a residential property they check every inch of the building, looking for structural problems, making sure electrical systems are to-code, that the plumbing is sound, that the heating and A/C (HVAC) systems work properly, that the roof is sound and has no leaks, that there are no mold, mildew or pest infestations issues and that the house has been maintained properly. When your home inspection is complete a detailed report is prepared with clearly written, concise, easy-to-understand descriptions of all issues found and photos showing any noted items. D&S Brown known the importance of a properly done home inspection and pride themselves in providing honest, objective, and thorough inspection reports. From the first contact with Duane and Shelley through the delivery of the inspection report and the explanation of the findings, you will experience the ultimate in professionalism and customer care. Our mission is to bring you peace of mind, both during and after selling or buying your home. Duane and Shelley Brown adhere to the Nevada Revised Statues Chapter 645D and are members in good standing of the Nevada Association of Certified Real Estate Inspectors (NACREI). D&S Brown Home Inspections is licensed by the State of Nevada Real Estate Division. Please contact Duane or Shelley to schedule your home inspection today.